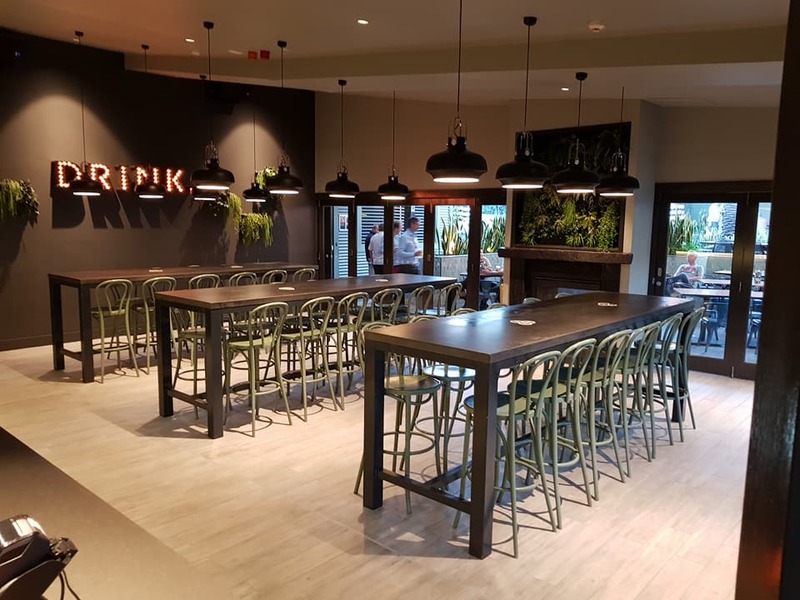 This year we have been very busy with new fit-outs and renovations at The Fiddler, Rouse Hill. Our first project was to renovate The Verandah Wine Bar. This included removing the deteriorated timber floor and replacement with a timber look Italian tiled floor. Being a bar area, we chose a high anti slip to maintain safe clientele. The main deck was our second project. 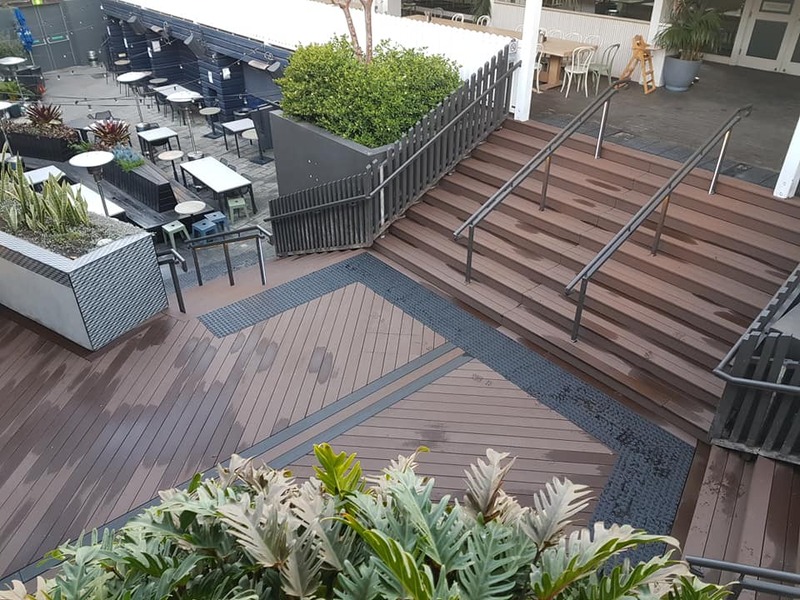 We demolished the existing deck and reinstated a state of the art composite decking material which is not only long lasting, but apart from a good scrub, requires no maintenance to up keep. Building a deck with the right materials & protection methods, means that not only the decking boards will last a long time, but the structural support will also have the best chance of standing the test of time. We are currently finishing off the interior fit out for their new FID & Co. cafe. This will showcase a brand new epoxy floor, wall finishes, new security roller shutter, new cabinets & stone bench tops. 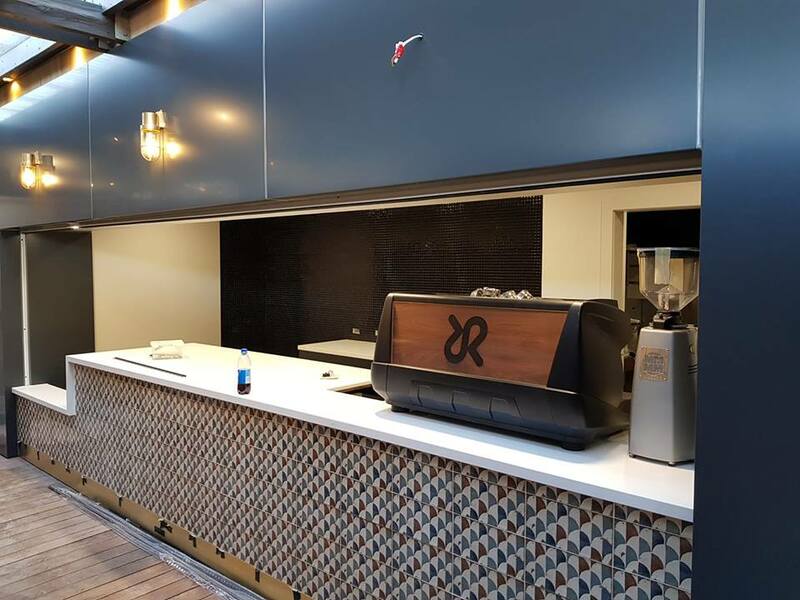 Brand new refrigeration, coffee machine and with custom made hardwood shelving will suspend from the ceiling with polished brass rods, this cafe will not only impress the eye, but be very functional and staff friendly. Stay tuned for finished photos as this new cafe will be opening soon!